Mayer, LS, & McHugh, PR. (2016). 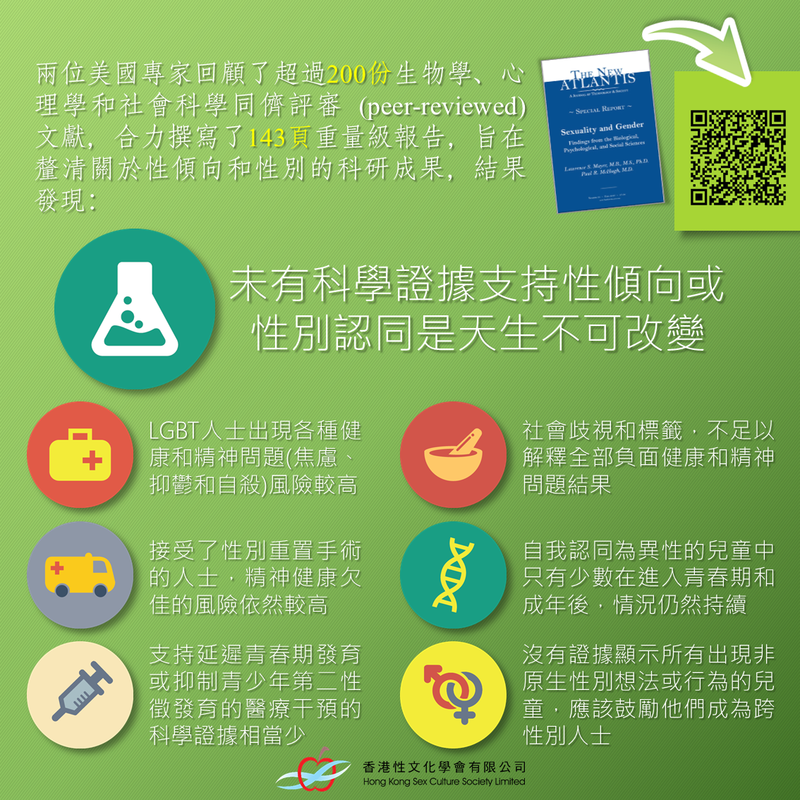 Sexuality and Gender: Findings from the Biological, Psychological, and Social Sciences. The New Atlantis, No. 50. Retrieved fromhttp://www.thenewatlantis.com/publications/number-50-fall-2016.